During his career at Flagstar, he has served as head of branch banking, retail product strategy, marketing, communications, internet banking, and branch expansion. He also was in charge of the bank’s technology, operations, and commercial units. Additionally, he led the government affairs and community relations initiatives. As CEO, he has played a critical role in strengthening the bank’s risk management, compliance, and quality control. His business affiliations include membership on the board of directors of the Business Leaders of Michigan, the American Bankers Council of the American Bankers Association, the Detroit Regional Chamber and its Economic Development CEO Advisory Board, the Mayor’s Workforce Development Board, and the Executive Committee of the Mid Size Bank Coalition. He also is a founding member of the Detroit Sports Organizing Corp., and serves on the National Board of Trustees of the Crohn’s & Colitis Foundation. Tim Anderson oversees electronic commerce and eMortgage service capabilities for DocMagic and is responsible for growing the company’s market share as the industry continues to adopt electronic documents, signatures and fulfillment. He brings over 35 years of industry experience having worked on both the lender and vendor side of the business. He has held executive management positions with LPS (now Black Knight Financial Services) , Stewart Title, FreddieMac and HomeSide Lending where he ran the eCommerce Division and worked at technology companies like Dexma, Microsoft and Tuttle Information Services. He was also the original founder of the eMortgage Alliance™ which promoted MISMO standards for delivering legally compliant paperless processes. He has served on the Advisory Boards of Microsoft and the Housing Roundtable. He is a past member of the MBA’s Board of Technology, (BodTech) and eMortgage Adoption Task Force. He is a current member of the MBA MISMO Governance Committee, Residential Technology Committee (ResTech) and MISMO eMortgage Workgroup, the Electronic Records and Signature Association, (ERSA), ALTA Technology Committee and both FannieMae and FreddieMac Vendor Technology Advisory Committees. Known for promoting strategic applications and trends in technology such as eSign and MISMO category one SMARTDocs®, Tim received the prestigious Steven Fraser Award from Mortgage Technology Magazine and named Mortgage IT AllStar by Mortgage Banker Magazine. Brian Boike has over 16 years’ experience in bringing mortgage banking technologies to market. Before joining Simplifile, he served in leadership roles in operations and continuous improvement at Michigan-based United Shore Financial Services, whose portfolio of brands includes United Wholesale Mortgage and Shore Mortgage. Prior to that, Brian was the product manager of a loan origination system at FIS and also held management roles in application development and process improvement for Flagstar Bank. Brian is a former chair of the Mortgage Bankers Association (MBA) Residential Mortgage Technology (ResTech) Forum and Mortgage Industry Standards Maintenance Organization (MISMO) Residential Mortgage Governance Committee. The managing partner of the firm’s Chicago, Illinois office, Amelia A. Bower is a member of the firm’s Title Insurance Law Practice Group. Ms. Bower maintains a multi-state practice in Illinois and Ohio where she represents clients in the areas of title insurance litigation, underwriting and claims analysis, bank-related litigation, bankruptcy litigation, construction related litigation and appeals. Many of her appellate cases have resulted in published decisions. Before joining Plunkett Cooney, Ms. Bower served the title insurance industry in many capacities, including as general counsel and underwriting counsel for a Cleveland-based agency. Prior to being licensed to practice law, Ms. Bower worked as a title officer, escrow officer and title examiner. Ms. Bower has served as an expert witness in real estate and ethics matters, and she has the distinction of serving as co-editor for Baldwin’s Ohio Real Estate Law, which includes her chapters on Conveyancing, Dower and Oil and Gas leases. Ms. Bower is a past chair of the Ohio State Bar Association Committee on Legal Ethics and Professionalism, as well as a past chair of the Cleveland Bar Association Certified Grievance Committee. Chuck Cain has been in the Title Insurance industry since 1977. He is a graduate of The Ohio State University and the Salmon P. Chase College of Law at Northern Kentucky University. He is admitted to practice in Ohio and Kentucky, several Federal District courts and the U.S. Court of Appeals for the 6th Circuit. He is a former trustee of the Ohio Land Title Association and is a member of the Government Affairs Committee of ALTA. He is former chair of the Real Property section of the Cincinnati Bar Association, a former director of the Cincinnati Mortgage Bankers Association, a member of the Federal Reserve Bank of Cleveland’s Fair Credit Task Force and a recipient of a special citation from the U.S. Department of Housing and Urban Development concerning Fair Housing Best Practices. A native Cincinnatian, he has been a licensed title insurance agent for over 30 years, was an owner-operator of title agencies for 18 years and corporate officer with LandAmerica for over 10 years. He joined WFG as SVP in the Agency Division in August of 2010. He has spoken before many state land title associations, state and local bar associations, ALTA, MBA, ABA, NAR, RESPRO, the National Settlement Services Summit, The Realty Alliance, Leading Real Estate Companies of the World and numerous other groups and classes on the topics of title insurance and compliance. His many articles have been published in state land title publications, numerous mortgage and title industry trade journals and in October Research publications. Having worked in all areas of the title industry and with its customers he brings a great depth of knowledge of all aspects of the real estate industry. Daniel Coles is a senior vice president in the Business Controls and Enablement team within Bank of America Consumer Lending. In his role as a Program Manager, Daniel leads a team of Project and Issue managers responsible for resolving formal issues and leading large initiatives impacting first mortgage and home equity fulfillment, closing, and post-closing. Much of his portfolio is related to deployment of the original and amended TRID rules, including impacts in the settlement and title space. In prior roles at Bank of America, Daniel led TRID implementation for Consumer Compliance and supported implementation in the Legal department for multiple channels across the enterprise. DeCamp has spent the last four years working at Chemical (Talmer) on special initiatives in the bank’s market to further its investment, lending, and engagement with the low and moderate income community. For the past two years his main focus has been on the City of Detroit by managing the bank’s rehabilitation of homes in the adopted Marygrove community and on the creative team behind the Detroit Home Mortgage program. He serves on the boards of the Villages Community Development Corporation and Jefferson East Inc. as a contributor to their community and economic development efforts. DeCamp holds a Bachelor’s of Science, Master’s of Urban Planning, and a Real Estate Development Certificate from the University of Michigan. In early 2014, Matt’s company Vista Abstract (now known as Transfer) became the first title agency in the US to accept Bitcoin to purchase real estate. Matt started his career in 1999 with the launch of an ATM company in the early days of the privately-owned ATM industry, and quickly became one of the fastest growth regional operators between New York City and Philadelphia. After selling that company in 2001, he entered the world of real estate finance with a consumer loan originator in sales and marketing. Through his struggles in that experience with the settlement process Matt saw opportunity, and in 2003 started a settlement services company, performing real estate settlements for title companies and national mortgage lenders. That venture quickly grew and pivoted into an end-to-end title agency doing business in 6 Mid-Atlantic States. Matt has also developed and brought to market several technical applications for various stakeholders in real estate. He feels that the real estate transaction in the US is broken, hasn’t fundamentally changed in decades and is passionate about advancement to meet what’s now possible. Julie Felts is a Senior Business Analyst for Amrock. Experienced in technology implementation and data model integration, Julie works closely with operational teams to ensure seamless transitions to new systems and processes. Julie began her career applying custom software solutions for automotive manufacturers and retailers. Her Project Management and Team Leader experience while implementing multi-state electronic vehicle registration, lien and title service programs translates well to her current focus — eClosing initiatives, and their impact on Amrock’s partners, lenders, and clients. The Gulotta Grabiner Law Group, PLLC & Real Estate Data Shield, Inc.
John is the owner of Make Sales Happen, a business development consulting company located in Scottsdale, Arizona. For the past fifteen years John has worked as a coach and consultant to the title industry. During this time John has implemented systems and processes and has trained his customers to use those processes to attain maximum ROI for their business. He is skilled at providing individual coaching based upon a client’s personality and experience. With his thirty plus years in the employee development, business process and sales & marketing development industries, John brings a wealth of experience and a unique perspective to all of his clients. John has been a speaker for the American Land Title Association, the American Escrow Association and various State Land Title Associations. He has presented to hundreds of real estate and lender organizations across the country. John is an accomplished writer/blogger and his bi-monthly motivational/educational articles are read and “paid forward” by hundreds of people in and out of the title industry. As a brief background, DXC Technology was formed by the merger of CSC (Computer Science Corporation) and the Enterprise Services business of Hewlett Packard Enterprise. Hewlett Packard acquired Electronic Data Systems in 2008, and soon created HP Enterprise Services. In November 2015, the Hewlett Packard Company split into HP Inc. and Hewlett Packard Enterprise, and the Enterprise Services business became part of HPE. The leadership of CSC and Hewlett-Packard Enterprise formed a merger between the two corporations and the new entity was called DXC Technology forming a $26 billion IT services company operating in over seventy countries with over one hundred seventy thousand employees. The completion of the merger occurred in the second quarter of 2017 was listed on the New York Stock Exchange under the ticker symbol “DXC”. John was hired by DXC Technology to launch a Lending Services Division which is focused on delivering an end-to-end PaaS which digitizes and blockchains the consumer lending industry. John has served in numerous executive level positions for domestic and international companies focused on innovating the lending industry. He has a successful thirty-year track record in the design, growth and execution of data-driven technology that optimizes business solutions in every aspect of the lending industry. 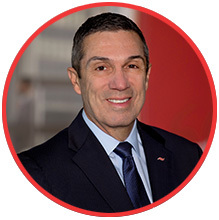 John has led multiple disciplines and held senior level positions CitiGroup, PNC Financial, Fidelity National Financial, First American, EMC² and IBM. In these roles he has successfully demonstrated the ability to deliver efficient management of profit and loss in conjunction with data-driven process optimization, new product development and transformational technology innovation. John’s passion is in delivering superior lending services to consumers and to standardize the creation and delivery of top performing lending assets for Investors. Valerie L. Hletko is a Partner in the Washington, D.C., and Chicago offices of Buckley Sandler LLP, representing a variety of financial services industry participants in complex civil litigation, as well as investigations and administrative enforcement actions. She counsels clients in connection with regulatory examinations and on matters including governance, risk management, fair lending, and compliance with various consumer financial laws, such as the Fair Credit Reporting Act, the Equal Credit Opportunity Act, the Fair Housing Act, the Home Mortgage Disclosure Act, the Real Estate Settlement Procedures Act, the Truth in Lending Act, and prohibitions on unfair, deceptive, or abusive acts or practices. An acknowledged authority in her field, Ms. Hletko has been ranked by Chambers USA in Financial Services Regulation: Consumer Finance (Litigation) and by Legal 500 for Financial Services: Litigation, and co-authored the “Fair Lending Litigation” chapter of the Litigation Services Handbook: The Role of the Financial Expert. She is Co-Chair of Buckley Sandler’s Diversity Committee. Ms. Hletko holds a J.D. from The University of Chicago Law School, an M.T.S. from Harvard University, and a B.A. from Kenyon College. Richard Horn is a founding member of Garris Horn PLLC, a new virtual financial services law firm. Richard is a former Senior Counsel & Special Advisor in the Consumer Financial Protection Bureau’s Office of Regulations. At the CFPB, Richard led the final TRID rulemaking and the CFPB’s design of the TRID disclosures. As a key architect of TRID, Richard is one of the foremost experts on the rule. Prior to joining the CFPB, Richard was a Senior Attorney at the Federal Deposit Insurance Corporation in the New York Regional Office. At the FDIC, Richard worked on consumer compliance and risk management supervisory matters and enforcement actions in many areas of consumer finance law. Richard currently advises on all consumer finance regulatory issues, including TRID, RESPA, TILA, FCRA, UDAAP, and state high cost lending and licensing laws. He also advises clients on exam preparation, supervisory matters, investigations, and enforcement actions. Richard’s clients include community, regional, and large depository institutions, non-depository lenders, technology companies, title insurance underwriters and agents, due diligence firms, and investors. Garris Horn PLLC was founded with a singular aim – completely redesign the financial services law firm to provide the highest levels of personalized service to financial services clients. Our firm started and evolves with technology, seeking to shed the inessentials of the traditional law firm, such as expensive real estate and ever-increasing law firm rates. As a law firm for the information age, we offer a streamlined, extremely efficient approach. Our focus is on getting you there, personally, effectively, and efficiently. We are the next evolution of the financial services law firm. Effective. Efficient. Evolved. After beginning his career as Director of Operations for a financial transaction services provider, Brian has since worked in a variety of roles throughout the industry. Today, he has over 30 years of experience in his field and is a licensed title agent in multiple states. He holds a bachelor’s degree in finance from the University of Dayton and both Lean Six Sigma Champion and Green Belt certificates. With nearly 20 years spent at Amrock, Brian is one of the company’s longest-serving team members, where he is known for his natural curiosity, passion for client service and obsession with process improvement. He is a vocal advocate for expanding the role of technology within the industry through innovative means, and a driving force behind keeping Amrock at the forefront of the real estate FinTech space. Outside of the office, he enjoys spending time with his family and experiencing all that the great outdoors have to offer – often from the seat of a motorcycle or ATV, or from atop the deck of a boat. One of her greatest accomplishments is working with and helping the sales team grow and succeed in their goals. Chris enjoys reading, mainly motivational and business and jokes that work is her hobby! She is often referred to as Mama Kass, which started when she was helping out in her church and the name quickly spread to her work life as well. Christina is married with two grown children and is now enjoying being a first time Grandmother. Michelle L. Korsmo is the chief executive officer of the American Land Title Association, the national trade association for real estate settlement services and the land title industry. The association’s more than 6,400 members operate in every county in the United States, employ more than 107,000 people, and produce $26 billion in goods and services each year. The association provides advocacy, education, networking and standards for the title insurance and settlement industry. Under her leadership, ALTA has doubled both its membership and revenues, in addition to tripling fundraising for the Title Industry PAC. Korsmo focuses her team on developing innovative solutions for the industry. In the past few years, the association has instituted a values program to assist member companies in encouraging cultures of compliance, a Homebuyer Outreach Program focused on plain language communication to consumers, an industry-wide licensing program, as well as a best-practices standard that helps the industry navigate a post-Dodd-Frank regulatory environment. Korsmo came to ALTA after serving as executive vice president of the Americans for Prosperity Foundation. Previously, Korsmo served as deputy chief of staff at the U.S. Department of Labor. Jaime Kosofsky is a founding partner of the Charlotte North Carolina based law firm of Brady & Kosofsky. Combining over twenty years of law practice with a deep entrepreneurial spirit Jaime has always kept Brady & Kosofsky at the forefront of the industry as the business has transitioned from a default and loss mitigation based market to the current purchase money based market. An innovator by nature, Jaime has surrounded himself with a team made up of the best and brightest minds in the industry who provide the firm with the ability to execute on cutting edge innovative workflows by utilizing technology as an accelerant to propel Brady & Kosofsky into the leadership position it has enjoyed in the title and settlement industry. Jaime is a contributing writer for many industry publications and countless social media blogs. Over the years Jaime has spoken at countless national, regional and local conferences, trade shows, and other events on numerous subjects including, Digital Mortgage, eClosing, TRID Compliance, Default, REO, and Loss Mitigation practice, and mortgage fraud to name a few. Jaime has been a member of the North Carolina Department of Secretary of State eClosing Advisory Counsel, and in 2017 Brady & Kosofsky completed the first two eMortgage Purchase transactions in the State of North Carolina. John was named the Deputy Director of the Division of Financial Institutions (DFI) in 2015. DFI is one of four divisions in the Illinois Department of Financial and Professional Regulation (IDFPR). From 1995-2007, he worked for IDFPR as the Chief of Business Prosecutions in the Division of Professional Regulation. Aside from his work in state government, John has had wide-ranging experience in the law, with extensive involvement in real estate-related matters including: transactions, development, taxation and litigation. He has also worked in insurance coverage litigation, estate planning, and administrative hearings and other general areas of law. He has had his own law practice; worked for USG Corporation, a Fortune 500 corporation; and has worked for several general practice law firms in Chicago. John has a B.A. from Purdue University and a J.D. from DePaul University. Mr. Levonick has rich experience of advising mortgage industry participants on compliance, risk management and related legal matters. His expertise spans a wide array of consumer financial services regulatory compliance requirements and asset classes, including infrastructure related concerns, such as privacy, including TILA (Regulation Z), RESPA (Regulation X), FDCPA, UDAAP, FCRA/FACTA, ECOA (Regulation B), HMDA (Regulation C) and GLBA. He assisted clients in interpreting compliance requirements, developing risk mitigation strategies and implementing the requisite controls within technology platform(s) to best protect the individual client. Mr. Levonick works with creditors, servicers, secondary market participants and technology vendors in providing guidance on mortgage lending laws such as TILA, RESPA, FDCPA, FCRA/FACTA, ECOA, HMDA and GLBA (including fair lending, state anti-predatory and consumer credit). Mr. Levonick was also responsible for overseeing the compliance content of vendor technology platforms, including policy tracking, interpretation and rule implementation. His experience as Chief Legal Officer, Chief Compliance Officer, Regulatory Counsel and Associate General Counsel in the mortgage lending industry has given him the skills to provide the guidance and direction required to navigate the challenges of a constantly changing regulatory environment. Mr. Levonick earned his Bachelor of Arts from Eastern Connecticut State University and his J.D. from the University of Miami, School of Law. Tom joined BankUnited in May of 2016 after 20 years at Citibank NA. He currently is the National Director for BankUnited’s National Deposits Group. Tom and his team provide banking services to Clientele who manage funds for their clients. Typical Clients of Tom’s team include Title/Settlement Companies, 1031 Exchange Companies, Real Estate Owners/Property Managers, Hedge Funds, Investment Companies, Mortgage Companies and Industrial Banks. Prior to joining BankUnited, Tom was one of the founders and managed a national team with Citi’s Commercial Banking Group which focused on similar industries. Tom and the team formed in 2006 and within 10 years built a $20B portfolio. Tom also managed Citi’s Treasury Products Group which developed and integrated state of the art products and service to support the Title/Settlement Industry, while also focusing on best practices for preventing Cyber Fraud. Thomas Mace is a senior vice president and manager for the Closing and Funding Services team of Flagstar Bank. In this role, he is responsible for managing the closing process for broker and retail loans, overseeing the Settlement Agent Services team, including agent approval, and ensuring the timely funding of loans for the bank’s retail, broker, and correspondent customers. Tom has 30-plus years in mortgage operations and joined Flagstar in 2016. Prior to Flagstar, he worked for CitiMortgage where he managed all aspects of fulfillment including processing, underwriting, and closing. He also has experience in project management and compliance. Tom has a business degree and currently resides in St. Louis, Mo. Flagstar Bancorp, Inc. (NYSE: FBC) is a $16.9 billion savings and loan holding company headquartered in Troy, Mich. Flagstar Bank, FSB, provides commercial, small business, and consumer banking services through 99 branches in the state. It also provides home loans through a wholesale network of brokers and correspondents in all 50 states, as well as 89 retail locations in 29 states, representing the combined retail branches of Flagstar and Opes Advisors mortgage division. Flagstar is a leading national originator and servicer of mortgage loans, handling payments and record keeping for $98 billion of home loans representing over 442,000 borrowers. For more information, please visit flagstar.com. Jeffrey McEvoy has been a longtime contributor in the fight against blighted properties in Memphis. Since the 1990s he has assisted and sat as a Special Judge in the Shelby County Environmental Court, one of the first of its kind in the country, to address cases of ordinance violations which can lead to and cause blighted conditions. Jeff has continually tried to use his expertise in real estate settlements and title insurance to help tackle the continuing problems of blighted properties in Memphis, and always keeps an eye towards how best to reclaim these problem areas. To that end, he has collaborated with title underwriters to develop methods to try insure blighted tax sale properties. Jeff has also met with both local and national government figures and investors to develop strategies and partnerships to combat some of the most persistent underlying causes which lead to vacant and abandoned properties with nuisance conditions, as well as how to overhaul Tennessee’s tax sale statutes to make the entire process simpler and safer for real estate clients and vendors. Jeff is a graduate of the University of Tennessee and a graduate of the Cumberland School of Law. Jeff has been practicing law since 1989. Jon Miller Steiger is a Wolverine living in Buckeye Country with his wife and two children. He is the Director of the East Central Region of the Federal Trade Commission, based in Cleveland, Ohio. The East Central Region covers consumer protection law enforcement and education for Delaware, Washington DC, Maryland, Michigan, Ohio, Pennsylvania, Virginia, and West Virginia. He received his law degree from Columbia Law School, and then clerked for Judge Avern Cohn in the U.S. District Court for the Eastern District of Michigan. When the clerkship ended, Jon moved to Washington, DC, where he started his legal career in the Federal Trade Commission’s Office of the General Counsel, litigation section. Jon returned home to Cleveland in 2001, staying with the FTC as a litigator before becoming Assistant Regional Director in 2005, and Director in 2009. Serving as eOriginal’s SVP & General Manager of Digital Mortgage, Simon Moir focuses on the advancement and execution of eOriginal’s mortgage growth strategy, including the product roadmap, business development, sales and solution delivery to aggressively expand this business. During his career Simon has worked for both privately-held companies and specialty divisions of larger publicly-traded organizations. Previously, he served as Senior Vice President of Business Development at Savana. Prior to Savana, he was the Senior Director of Mortgage Technology at CoreLogic. Simon joined CoreLogic through its acquisition of Dorado, a successful, privately held mortgage technology company based in the Bay Area. Simon believes there is a unique opportunity to dramatically impact the future of mortgage—from origination, all the way through the secondary market and highlights that the first phase of the digital mortgage revolution has been focused on the front-end application processes and that the next phase will center around the eClosing—continuing the incredible borrower experience (and savings) and providing lenders with greater operational efficiency gains. Piper Moretti is the CEO of The Crypto Realty Group, a Los Angeles-based firm specializing in conducting real estate transactions with cryptocurrency and the only REALTOR® in California who has completed 5 bitcoin transactions to date. Piper is a licensed international luxury REALTOR® at First Team Christie’s International Luxury Real Estate, one of the world’s largest luxury real estate brokerages as well as a Certified International Property Specialist, the only international designation recognized by the National Association of REALTORS®. She is also a proud advisor to the Los Angeles Blockchain Lab, CROP.io, and a member of the Los Angeles chapter of the International Blockchain Real Estate Association. Her speaking engagements include Inman Connect, New York 2018, International Blockchain Real Estate Association’s 2nd Annual Conference and UCLA Cyber Days. Piper has been featured in Forbes, Inc. Magazine, Realtor.com, Mansion Global, and Commercial Observer. Matthew Morris (Matt) is chief executive officer of Stewart Information Services Corporation (NYSE: STC) and a member of the company’s board of directors. Having deep family roots with Stewart, Matt joined Stewart in 2004, bringing executive and operational management experience and leadership to his role with the company. Matt manages corporate direction and strategy with customers, partners, shareholders, and investors at Stewart while overseeing all corporate functions. He is also responsible for Stewart’s global business units with over 6,500 associates in more than 15 countries and annual revenues exceeding $2B. Prior to being named CEO in November of 2011, Matt served as Senior Executive Vice President for Stewart Information Services, Stewart Title Guaranty, and Stewart Title Company as well as President of Stewart’s shared services division. Prior to 2004, he was the Managing Director and COO for a strategic litigation consulting firm. Since joining Stewart, Morris has focused on transforming the business model to enhance growth and financial performance while preserving Stewart’s culture of integrity and service to customers. Matt was recognized as the gold winner in Executive of the Year, large company category, in the 2013 Best in Biz Awards, a Gulf Coast EY Entrepreneur of the Year Finalist in 2014, and has been recognized in the Swanepoel Power 200 ranking of real estate industry leaders. In addition to his board positions at Stewart, Matt is on the board of the Cornerstone Strategic Value Fund, Inc. (NYSE: CLM) and the Cornerstone total Return Fund, Inc. (NYSE: CRF). Matt received his BBA in Organizational Behavior and Business Policy from Southern Methodist University and his MBA from the University of Texas with a concentration in Finance. Matt is a member of the Young Presidents Organization, and the C Club of Houston while also serving on several non-profit boards including Greater Houston Partnership, Homes for Hope, Houston Baptist University and Campus Outreach. Matt and his wife Melissa live in Houston, Texas with their four boys. Chuck came to the State Corporation Commission from the Virginia State Police, Bureau of Criminal Investigation where he served as a Special Agent Accountant and Certified Crime Scene Analyst. Chuck holds a Master’s of Science in Management Risk Management and Insurance from Florida State University and a Bachelors of Arts in Psychology from the University of Central Florida. Chuck maintains credentials as a sworn law enforcement officer from the Virginia Department of Criminal Justice Services. His professional designations include Certified Fraud Examiner and Chartered Property Casualty Underwriter. Mark Myers has more than 40 years of experience in the title insurance industry, where he climbed from searching and examining title abstracts to Chief Executive Officer. His commitment to our clients combined with his vision have led to the development of products, services and specialized departments that meet and exceed the demands of the ever-changing real estate industry. Under Mark’s leadership, Meridian Title celebrates 80 years of excellence with more than 30 offices in Illinois, Indiana, Michigan and Pennsylvania and the ability to facilitate transactions on a national level. Jean M. Partridge, co-founder and managing member of Benchmark Title Agency, LLC has been in the title insurance industry for over 30 years. Prior to establishing Benchmark, Jean was a Senior Vice President and Branch Counsel of First American Title Insurance Company of New York and a member of their Board of Directors. She and her business partner, Thomas N. De Caro, have been working together successfully since 1985. When founding Benchmark in 2005, Tom and Jean had a goal to combine their experience as underwriters with their experience as title insurance agents, creating a company that melds the best of both structures. Today, they manage a staff of over 30 title professionals, including 5 attorneys. They are extremely proud to have assembled a staff of seasoned title professionals who average almost 20 years’ experience! Jean is committed to providing clients with personal attention and a level of service that exceeds industry standards. She is also committed to providing clients with the most current and accurate information possible. She stays abreast of industry trends by active memberships in many professional organizations, and presently serves on the Executive Committee of the New York State Land Title Association (NYSLTA). In addition to serving on numerous NYSLTA committees she has chaired the Title Agent Licensing committee, the Governmental Regulation committee and the Newsletter committee. She has also built strong relationships with many of the of County Clerks Offices by serving as the liaison for the NYSLTA Land Records committee for the last 14 years. Additional affiliations include the New York State Bar Association, Westchester County Bar Association, Women’s Bar Association of Westchester County, White Plains Bar Association, and National Association of Realtors. Jean is also a member of the Advisory Board for the Real Estate Law Institute at Pace University School of Law. Jean is a frequent speaker on real estate matters and has been a CLE speaker for the New York State Bar Association, the New York State Land Title Association as well as for several local bar associations. Additionally, Jean has been certified by the New York State Department of Financial Services as a ‘Broad Scope Instructor’ qualifying her to teach on matters relating to title insurance, and to provide attendees Continuing Education credits. Jean has recently been appointed a board member of the National Agency Advisory Board for Stewart Title Guaranty Company. Jean was also recently selected by First American Title Insurance Company to join 40 of the nation’s largest title agents celebrating the success of women in the title industry. Jean is admitted to practice law in both the states of New York and Connecticut. She is also rated AV for ethical standards and legal ability by Martindale-Hubbell peer review. Francis “Trip” Riley, a partner at Saul Ewing, assists clients who are facing complex civil litigation filed by a single plaintiff, as well as class actions, relating to commercial and consumer financing, consumer facing services and product sales, and business to business transactions. He prides himself on understanding his clients’ unique businesses and partners with them to help achieve results in line with their goals in the often highly-charged setting of commercial, consumer and corporate litigation. Riley is the co-leader of a team of attorneys that represent and counsel real estate settlement services industry clients. He also leads a group of attorneys in all of Saul Ewing’s offices who represent title insurance underwriters, their insureds and title insurance agencies in commercial and residential title related disputes. Small Business Review Panel (2012) formed under the Small Business Regulatory Enforcement Fairness Act (SBREFA) for the Consumer Financial Protection Bureau (CFPB) to comment on the TILA-RESPA integration mandate and closing disclosures. Juliana’s proudest position is that of President/Owner and Escrow Manager of Viva Escrow! Inc., established in 2001 after years of owning another escrow company. On Christmas Eve of 2012 her book, “The Art of Escrow”, was published, which she has dedicated to all the Escrow Officers in this industry. This is a book written to provide a background on the escrow process for the consumer. Juliana has achieved the following professional designation qualifications from the California Escrow Association: Certified Senior Escrow Officer (CSEO), Certified Escrow Officer (CEO), Certified Bulk Sale Specialist (CBSS) and Certified Escrow Instructor (CEI). She is also a Senior American Settlement Industry Professional (SASIP), as conferred by the American Escrow Association. Justin Wiseman is an Associate Vice President and Managing Regulatory Counsel in the Public Policy and Industry Relations department at the Mortgage Bankers Association. Justin manages MBA’s Regulatory Policy team that covers legal issues, trends in litigation, regulatory compliance matters, and servicing as well as provides strategic direction to advance MBA member priorities on regulatory and legal matters. This team also analyzes pending rules and legislation, provides comments on behalf of MBA members on pending rules or regulations and helps develops MBA’s posture towards innovation and innovation policy. Prior to this, he staffed MBA’s Loan Administration committee, providing policy development insights and working with stakeholders to advocate on behalf of the industry. Justin assisted the Department to formulate responses to policy initiatives and helps monitor relevant trends in the servicing market. Justin also worked at MBA as Associate Regulatory Counsel to analyze forthcoming legislation and administrative rule-making. Before joining MBA, Justin clerked for a federal District Court in the Middle District of Tennessee and worked with the Center for Strategic and International Studies on European and Transatlantic security issues. Justin is a graduate of Emory University School of Law and Dartmouth College. Leslie Wyatt is the Director of Regulatory Compliance at SoftPro. She began her career in the real estate industry over 20 years ago, and joined SoftPro in 2002. She currently oversees the Compliance Department with her primary focus being on regulatory issues at the Federal, state and county levels. Leslie is a member of the ALTA Implementation Task Force, the Title Action Network Steering Committee, the ALTA Government Affairs Committee, the ALTA Membership Committee, the ALTA Education Committee and the TLTA Federal Issues Committee. She has represented ALTA at a congressional briefing regarding the CFPB and the TRID changes. Leslie travels though out country speaking on our industry’s hot topics with a focus on regulatory and compliance. Leslie continuous to work with the CFPB on various projects regarding TRID, UCD, MISMO and other industry hot topics. Wells Fargo Home Mortgage – Vice President, Settlement Agent Strategy, supporting the Retail home lending organization with focus on external title and settlement partner requirements, communication and relationships. Editor for quarterly newsletter: Wells Fargo Settlement Agent Communications. More than 25 years’ experience in various roles for Wells Fargo and predecessor companies.